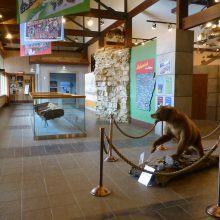 On display at Bull Shoals-White River State Park visitor center is a wood and iron Jon boat that is approximately 18 ½ feet long and 3 feet wide. 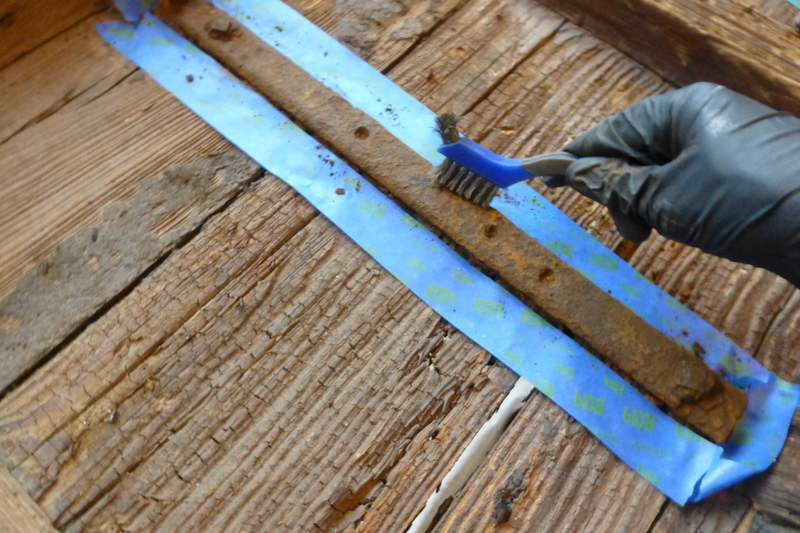 Railroad spikes with date stamps from the 1930s were used in the boat’s construction, suggesting it was assembled some time during or after the 1930s. 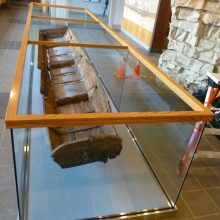 Jon boats were popular in the Ozarks region prior to WWII as everyday forms of transport as well as for hunting and fishing. 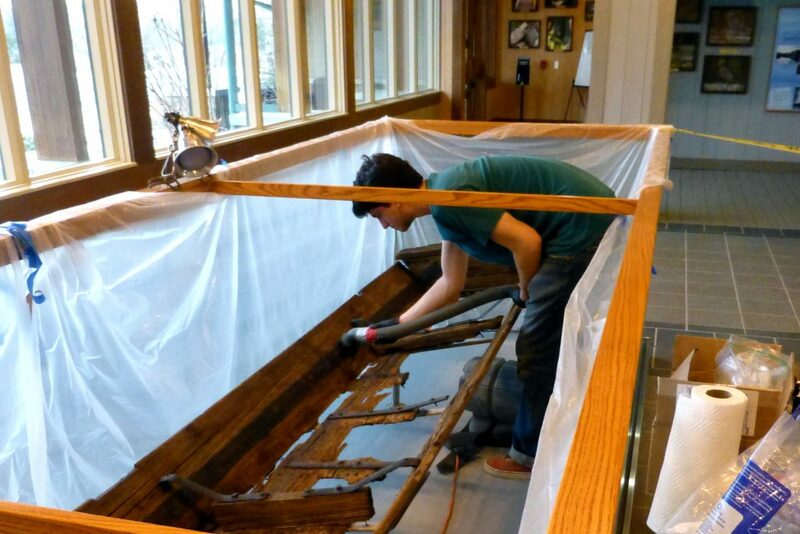 Propelled by oar or pole, the flat-bottom design of the Jon boat provided stability and allowed them to operate in shallow waters. 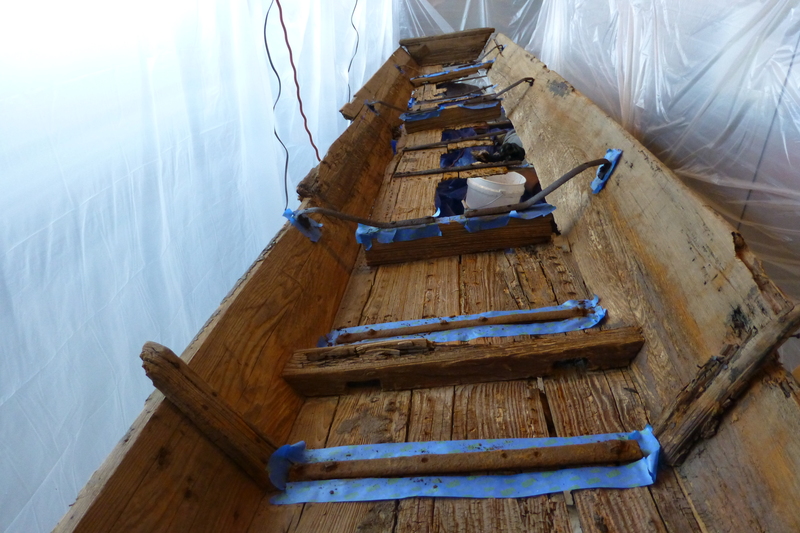 According to Arkansas State Parks employees, the boat was found and removed from the bottom of White River in 2005. 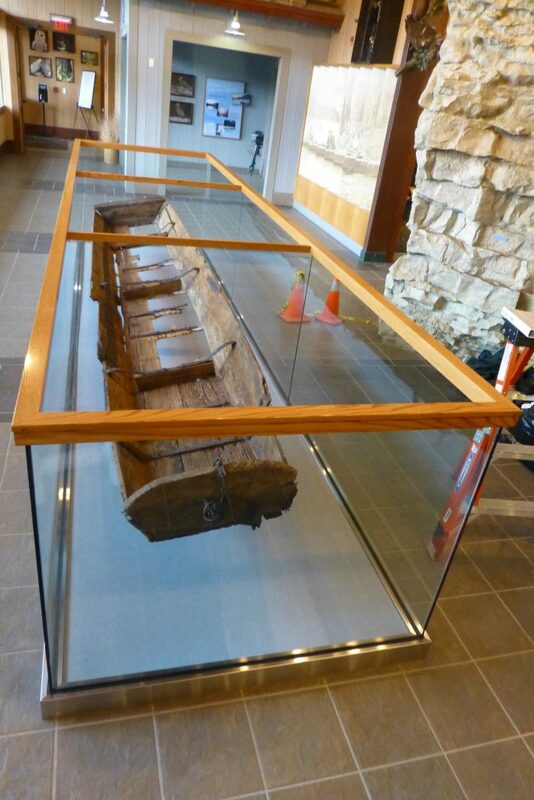 The boat was dried outside and put on display in the visitor center. 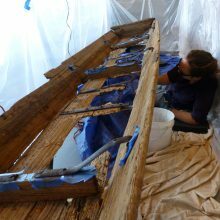 The boat had been in an arrested state of decay since 2006. 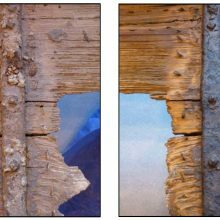 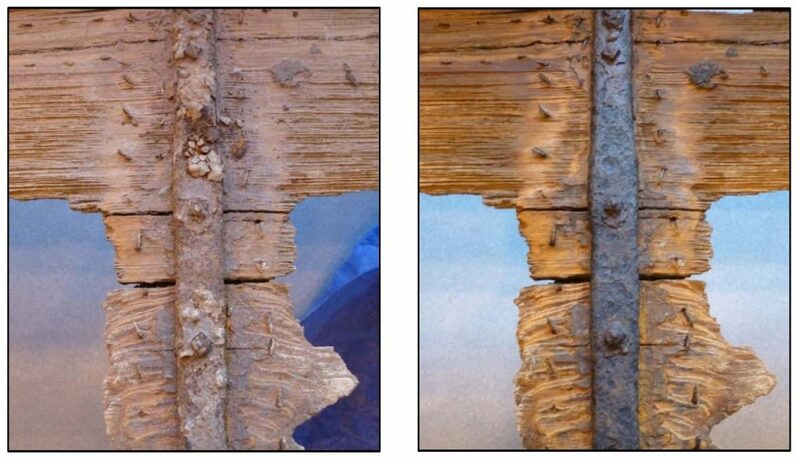 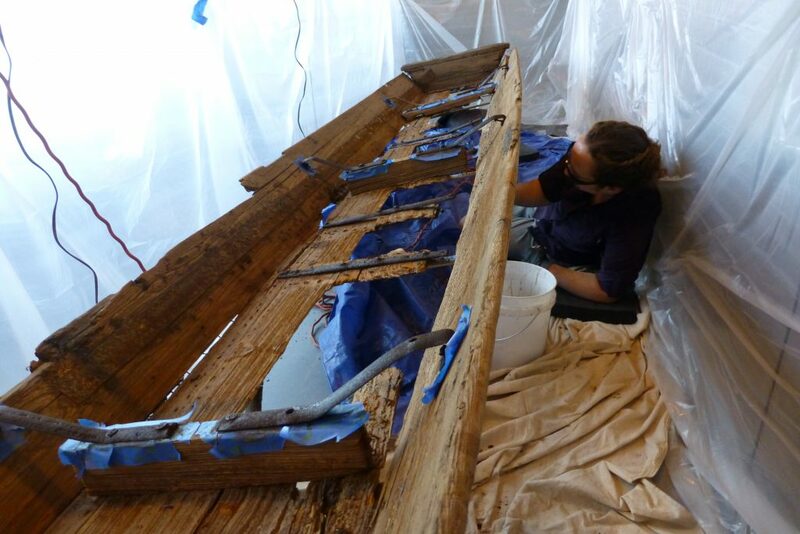 Many of the boat’s wood surfaces were friable and scaling from previous surface rot. 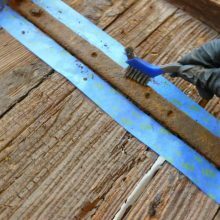 All of the wood suffered from a loss of mechanical strength and cohesion from degradation caused by prolonged exposure to UV rays, underwater submersion, and wood-rotting fungi. 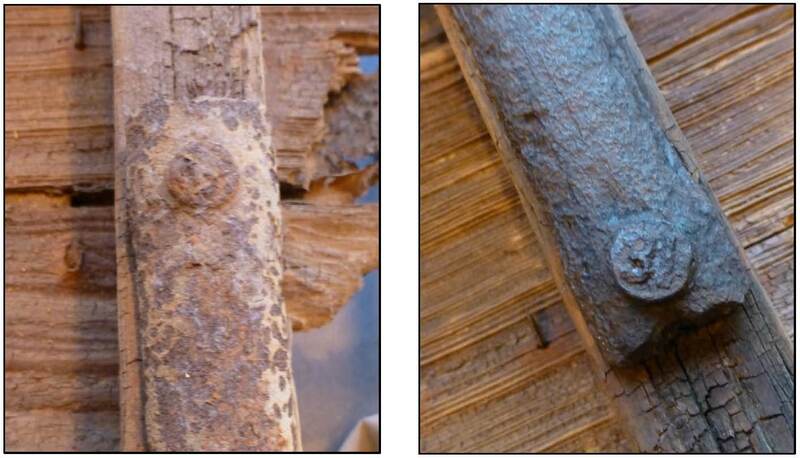 Park staff were concerned that pieces of wood were detaching from the boat and metal hardware was actively corroding. 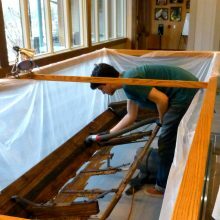 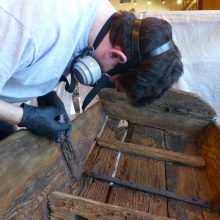 In 2013, our conservators assessed the artifact and its environmental conditions, tested the materials, and provided recommendations for stabilization and long term preservation of the Jon boat. 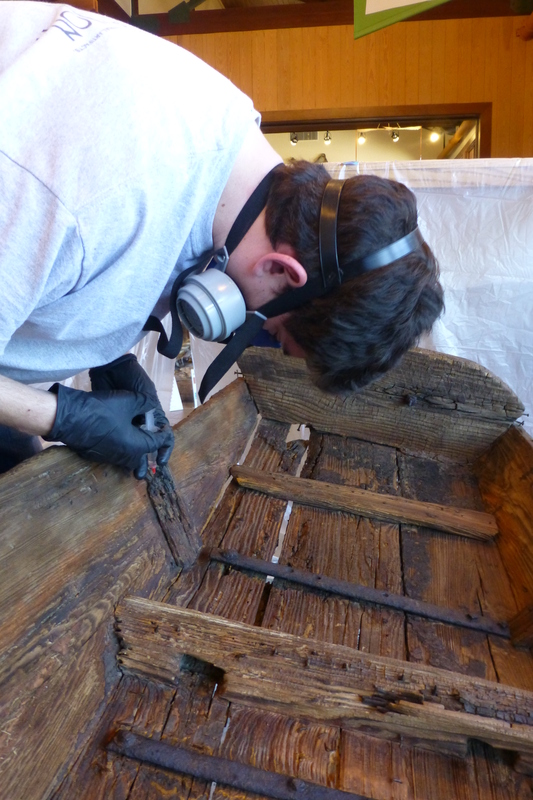 In 2014, conservators returned to treat and stabilize the boat. All surfaces were cleaned of dust and debris. 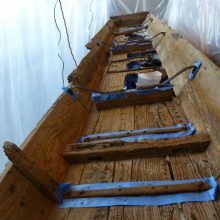 The boat’s wood was consolidated with surface applications and injections of Paraloid B-72. 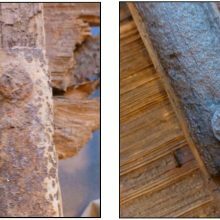 The iron was treated with a metal cleaner, loose rust and scale removed, and a rust converter was applied to all metal surfaces. 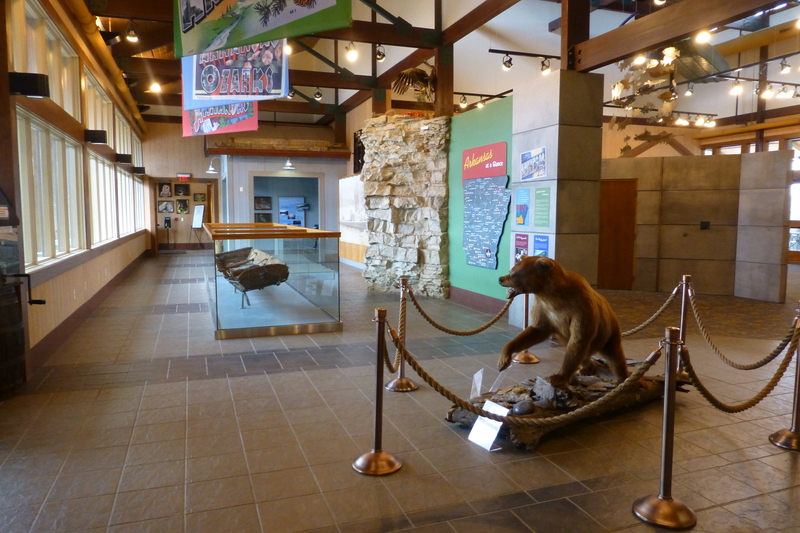 Recommendations were provided for maintenance, monitoring, and the display environment.